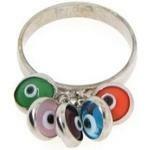 I had a glass evil eye ring that broke can anyone find me a new one? 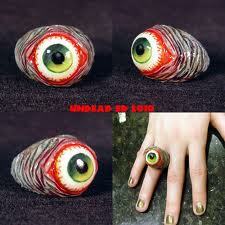 eye think we need a picture. 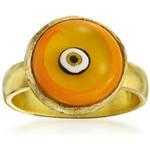 I don't have a ring but I do have an "evil eye" which can be made into a pendant. If you're interested, please send me a PM and I will make up the pendant for you and list it as a "buy now" for you on BoB. (It will be R40.00 plus R30.00 postage). The funniest thing happened to Jenny and myself the other day. Jenny wears an eye necklace which she said she got in America (I don't remember it but anyway...) and she has been wearing it for +- 2 yrs now and about 2 weeks ago we walk into a secondhand shop and there is the same eye necklace hanging there so we buy it and now we both have the same one, cute ne? So now you have TWO glass eyes, Wayne? What next? yip, all the better for seeing the butter.